Blue Label Whey is our research driven flagship whey protein isolate product developed using premium quality ingredients. We have set new standards with MyoTein®, our optimised protein blend consisting mainly of whey isolates with concentrate and hydrolysate proteins added to help you achieve your goals and stay there. Our product contains an industry leading 25.2 g of protein per serving, more than 6.3 g of BCAA's and a serving of ZyMate®, an enzyme blend which helps to aid digestion of protein. Each great tasting scoop of Blue Label Whey contains less than 1.4 g of carbs, 1.1 g of fat and 116 calories. Whey protein isolate is the finest quality whey protein available and naturally produced from cow's milk. 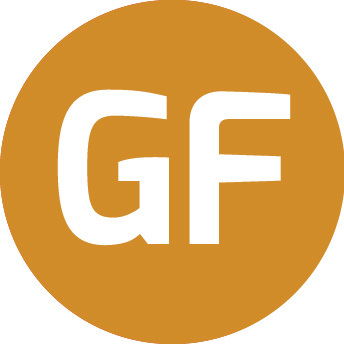 It is naturally high in BCCA's and Glutamine, all great ingredients which are all essential for muscle growth and recovery. Blue Label Whey is fast absorbing so it can be taken first thing in the morning, or just before or after a strenuous workout. By consuming protein at regular intervals during the day you will maintain optimal amino acid levels in your body to support and maintain your muscle growth from training. Unique in its taste and smoothness, Blue Label Whey is great with milk or water, making it a really convenient shake before or after a gym session! 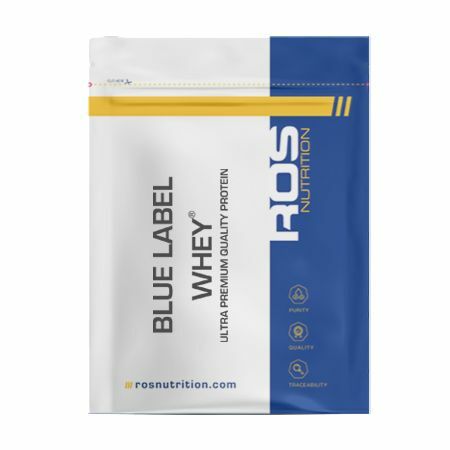 Blue Label Whey® is a registered trademark of ROS Nutrition Group Limited. Take 30 g (one 70 ml levelled scoop) in 200 ml of water, milk or beverage of your choice.